All Camp Verde homes currently listed for sale in Camp Verde as of 04/23/2019 are shown below. You can change the search criteria at any time by pressing the 'Change Search' button below. If you have any questions or you would like more information about any Camp Verde homes for sale or other Camp Verde real estate, please contact us and one of our knowledgeable Camp Verde REALTORS® would be pleased to assist you. 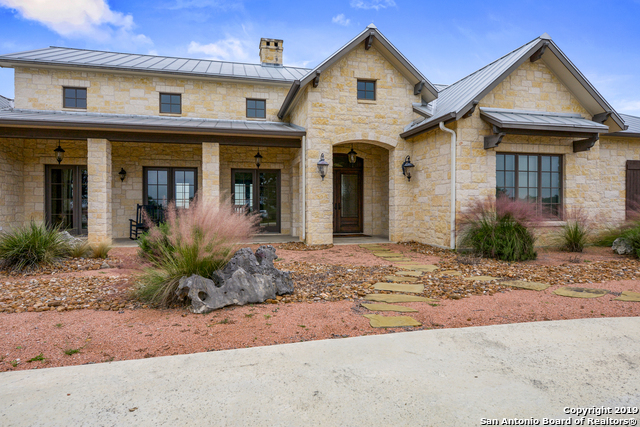 "Custom designed, open concept, rock home w/ standing seam metal roof in Hidden Hills. Wood cathedral ceiling, decorative wood trusses, travertine floors & full-height stone fireplace in great room. 48Viking gas range & hood, B-I fridge & microwave in island kitchen & stunning custom cabinetry wraps around to breakfast room. Lg formal dining room w/ coffered ceiling & wood floor. Pvt Master suite w/ fireplace, cathedral ceiling & outside access. Guest suites, office suite & saloon. Views! Owner i"
"Live Water, 22 +/- Acres, Beautiful Home plus Guest Home and Barns-all in one of the prettiest areas of the Hill Country-Camp Verde. Drive through the gates into this historic estate with over 1,100' feet of flowing Verde Creek with its swimming holes and banks lined with huge cypress trees. Ranch home with craftsmanship and quality only found estate homes of the past. Huge master with fireplace. The guest 3/2 home fits the setting--warm and charming. Screened Porch. Grotto. Fenced yard."